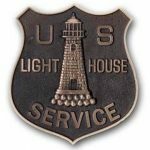 Lighthouse Keeper recognition ceremony for Keeper John O’Neill – Chesapeake Chapter U.S.L.H.S. The Chesapeake Chapter and friends of Concord Point Lighthouse in Havre de Grace will be holding a special ceremony next Sunday, August 6 at 2:00 pm, honoring Keeper John O’Neill. It’s the day before “National Lighthouse Day”! The event will be similar to last November’s ceremony at Holy Cross Cemetery when we honored Keeper Thomas J. Steinhise. The event was MC-ed by Greg and quite a few descendants of Keeper Steinhise were in attendance. If you are in the Havre de Grace area next Sunday, stop by the Angel Hill Cemetery on Route 40 in HdG and look for a group gathered near the top of the hill at the grave of John O’Neill. Mr. O’Neill was the first keeper of Concord Point Lighthouse when it became operational in 1827 and several O’Neills served as keepers. We will be unveiling a “US Lighthouse Service” plaque at Mr. O’Neill’s gravesite. 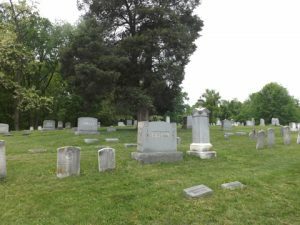 Angel Hill Cemetery is off Route 40 in Havre de Grace. Address – 750 Ohio Street, Havre de Grace.